Aside from the moment when I flushed the toilet on the LIRR only to have the bowl splash stool on my face, it’s been a pretty good day. I really love, in particular, how he points out that any observation of the ego that is interested (not indifferent) is still the ego. I didn’t hear about the movie theater attack in Aurora until two days after it happened. I had been traveling – and, thankfully – am almost totally unplugged from the Media Industrial Complex. I quit social media (Facebook) last December after having spent nearly 8 years living through the minutiae of everyday life as well as the mania spurred on by various “tragedies” with 600 of my best friends. Of course my heart goes out to the families and loved ones of those who were hurt and killed in Aurora. My heart also goes out to the approximately 80 people killed each day in the United States from gun related violence. Beyond our borders, there are hundreds, if not thousands of others, who die from gun-inflicted wounds every single day in civilian and war-related killing. To their numbers, we must add everyone else who experiences suffering from other types of violence every minute of every day. I mention these countless other cases of suffering and violence not for the purpose of minimizing what happened in Aurora, but rather for the purpose of drawing attention to the arbitrariness of the hysteria that surrounds certain events. When we take a step back, a familiar pattern emerges: (1) a certain case of violence somehow garners attention and 24/7 news coverage in the media (2) lots of everyday people, talking heads, politicians, intellectuals, religious leaders, etc. pontificate with great moral outrage about the ills of our society (3) touching memorials take place as people commemorate the victims (4) feelings of fear, dread, sadness, nihilism, anxiety and anger overcome the populace. (1) The attention is always short lived. It will reach its peak and then slowly dissipate. At some point in the near future, no news outlet will report anything related to Aurora on any given day. And, on the unknown future date, most people will not think about any of the victims. In other words, life will return to “normal”. (2) Many people who express moral outrage rarely use these occasions as an opportunity to put their principles into action in their own lives. Instead, they have very detailed opinions about how other people should change without realizing that positive change concretely depends on how we all live our lives on an on-going basis. That means that if I want a society that values the dignity of all living beings, then I need to take stock of the choices I make in my life in addition to calling my congresswo(man). (3) The mass hysteria produced by media-driven coverage of tragic events is inherently arbitrary. That is to say: the event(s) that come to occupy the collective conscious are always a mere subset of a much larger sample of horrific happenings. So, what to make of Aurora? Or the Trayvon Martin case? Or the Giffords shooting? Or any other tragedy that captures the public’s imagination? I have a few ideas. (1) No loss of life is more important than any other other simply because CNN says so. There is nothing wrong with focusing on a tragic event if it spurs personal and collective action for the greater good. But such attention must extend to the countless cases of suffering that never make it to the airwaves or the twittersphere. In other words, we need to care about suffering broadly – not just in specific cases that seem to horrify or concern us. (2) External violence derives from and pales in comparison to the “war within”. Yes, reasonable people agree that our gun policies obviously need to be reformed and we should all do what we can to make decisions (political and otherwise) that reflect our esteem for human life and dignity. That said, there is no amount of other-directed protest, pontificating or policing can solve the core issue at the heart of violence. External suffering has internal sources. We harm each other physically because of internal limitations on our capacity for love, compassion and peaceful co-existence. I have sometimes remarked that people who decry violence need to ask themselves how realistic it is to expect people to treat others with respect and compassion when most people do not even love themselves! If you pay attention to your inner world (your thoughts, feelings and perceptions) on a daily basis, you will quickly learn how difficult it can be to maintain an attitude of love and compassion not only toward other people, but also toward yourself. Difficult circumstances and situations frequently arouse feelings of anger and fear for all of us on a daily basis. Learning how to achieve inner peace and happiness is the only way we can individually become agents of compassion, cooperation and love in our interactions with others. The war within needs our urgent attention, even as we take steps to address the war in our streets. (3) Social media and mass media interfere with our ability to maintain equanimity and inner peace. Being informed about local, national and global events is important. I am not advocating burying our heads in the sand. But being continuously plugged into the Media Industrial Complex with its assortment of arbitrary news coverage, commercialized interests and biased representations is a recipe for moral decline, passivity and cultural manipulation. I was so grateful that I did not get wrapped up in the hype about Aurora on Facebook (since I no longer have an account) or through cable news (since I rarely watch it). Yes, I found out a few days after the fact and did follow the story with some interest, but because I came to the story rather than having it come to me, I was able to examine it from a place of calm reflection rather than media-manipulated fear and loathing. (4) The most important thing any of us can do in response to such tragedies is to ask: How am I living? Before I prioritized my spiritual life, I found myself attracted to execrable popular culture like reality TV, violent action films and generally mindless material. Since the dawn of my spiritual “awakening” (for lack of a better word), I naturally found myself mostly reading about theology and philosophy and watching related media (i.e. Eckhart Tolle’s talks or Mooji’s videos) in my free time. I didn’t consciously try to avoid violent material, but I simply lost interest in it. There are some exceptions — I still love the “Matrix” films and have a slight addiction to Breaking Bad, but I try to watch these things consciously, in a way that strengthens – rather than weakens – my concern for the dignity of all living beings. Perhaps more on that in another post. All of this to say, change is possible and it begins with you. I’m not saying that we shouldn’t watch movies like the “Dark Knight Rises” – I don’t think external responses of that nature are the “answer”. To go on a “violent movie” boycott or to only militate for greater gun control (though we do need it) would be naive and shortsighted. Tragic events like Aurora remind me to pay attention to what’s going on in my world – in my thoughts and emotions. It heightens awareness of emotional and mental violence. The moment I feel myself thinking negatively about someone, I am reminded that such enmity – no matter how minor – is the seed from which all mistreatment and violence grows. How can I expect others to be more compassionate if I myself do not prioritize compassion and kindness? When I feel “pissed off or upset about anything, I use awareness of those emotions to bring me back into conscious recognition of my Self as the Presence of God rather than my “self” as the ego with its tote bag of delusions, petty interests and conditioning. This is why meditation and other practices that focus our attention on the present moment – on stillness – are so important. It is only from a place a inner peace and tranquility that we can come to regard each other with the respect, love and dignity that make external violence inconceivable. What do you think? Is it possible to consume violent culture while also affirming the dignity of human life? Is there any real good that will come from the intense attention to the Aurora shooting? What can each of us do, individually and collectively, to respond to this event? When You Know Better . 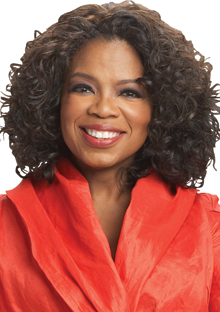 . .
No matter what you think about the full spectrum of Oprah’s work, she has directed millions of people toward wisdom and that’s quite a beautiful thing. Her free, intensive web series with Eckhart Tolle on “A New Earth” changed my life — though not immediately. In any case, the “Know better/do better” quote is something I sort of shrugged off in agreement when I would think about it over the years. Intellectually, it made sense. But the core principle is something that I’ve come to understand in a much more profound way than I did before. After our conversation, I simmered on the quote and used it a few other times with other interlocuters. The truth penetrated for me more deeply. Yes, right action is a kind of knowledge. But what is more fundamental than “doing” is “seeing”. When you see things as they really are — when you see the truth clearly and correctly — you will know the truth and “right” action will spontaneously and naturally flow from “right” perception. Ruminating on this reminded me of the kind of ‘knowledge’ it takes to put God and spirituality “first” in one’s life. In the past, I thought – intellectually – that I “knew” the value of God in my life . . . I thought, with all the hubris and ignorance that such a misconception requires, that God was my homeboy. I thought we were cool – despite all evidence to the contrary (e.g. systematically putting my spiritual life on the back burner after everything else). I “believed in” God, prayed occasionally, sent up gratitude for my “blessings” when I felt like it . . . Of course, looking back, I realize now how superficial my so-called “knowledge” of God’s existence was. I did, however, have other kinds of very concrete knowledge. I knew very clearly what it meant to put my work, my education, my romantic relationships or my idle interests first, but putting God first was not something I could really grasp. For me – like so many on “the path” – it took a fundamental crisis to bring me to my knees and help me begin to consider – ever so slowly – what it would really mean to put my spirituality before everything else. In the midst of this crisis, I found myself praying a very simple but sincere prayer: “Please God, help me understand how to put you first. I want to want to, but I don’t know how.” And ever since I prayed that prayer, the universe has spontaneously, beautifully and in the most direct and clear ways unveiled Itself. What came to me very clearly was this: if one understood the depths of peace, joy, equanimity that await us in the light of God’s love, of course we would want to put that first. But knowing such things intellectually or conceptually is insufficient . . . it requires the kind of knowing that is beyond words, beyond concepts . . . the kind of knowing that penetrates your being, transforms your consciousness and burns away the delusions that clouded your ability to see the unchanging truth of God’s fundamental oneness with not only who You really are, but who everyone else really is too. Imagine your ship has capsized and you’re struggling in the water, fighting for your life. There is a life raft right next to you, but you cannot see it. It’s red – and you’re color blind – so it passes by you unperceived. As you draw what you think may be your last breath, out of desperation you reach out toward the raft. You reach out – not because you see the raft – but because something inside of you compels you to reach out as an act of faith. You reach out – not because your eyes see something – but because your inner eyes begin to open, eyes you’ve never used before – eyes that can see things your ordinary perception cannot. You reach out on faith – maybe just the faith of a mustard seed – just a tiny grain of hope that something can save you. Now you grasp the raft – except you still do not know what it is. You have only begun to open your inner eyes, but you can sense the presence of something powerful and stable that can and will save you. And this is a beautiful moment, because in the grip of desperation and terrible fear of your own annihilation, you begin to glimpse the possibility of salvation and eternal life. In that moment, when “you” were trying to escape “death”, you actually do die. The concept of yourself as some individual entity floating in the sea of creation dissipates as the true concept of your Self as the All-There-Is emerges. Yes, you would have found the raft much earlier if only you could have seen it. If you had known better, you would have done better. But what a beautiful thing it is to reach out in blindness, to act on the infinitesimal faith of a mustard seed, to throw your hands out in the darkness. This moment of surrender in the midst of desperation, of seeing for the first time, is such a sacred, precious thing – something to treasure no matter how much suffering such a realization requires.